New work debuting this month at WonderGround Gallery, Downtown Disney® District for the Pop Fusion Exhibit. A tribute to one of my favorite Disney artist, Carl Barks. His comic book chronicling of the citizens of Duckburg absolutely enthralled me as a kid. Now I'm sharing those comic book tales with my own kids and they love them as much as I did. 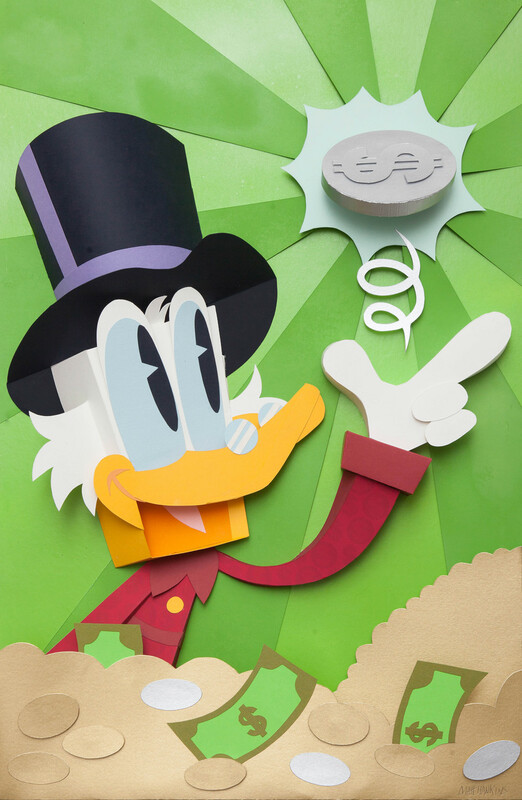 Comics were a big inspiration for the Pop Art movement and Carl Barks' Uncle Scrooge comics are a big inspiration to me.